Samsung Galaxy S10+ Review - Bigger and better! Samsung Galaxy S10 Review - The best Android phone to date! Honor 10 Lite Review - One of the Best Budget Phones! Huawei brings us a new mid-range device from the Mate 10 series, but what are its pros and cons? Stay tuned so we can take a look! Huawei unveiled their flagships, the Mate 10 and the Mate 10 Pro, as well as the Mate 10 Porsche design in October 2017. These devices had their own keynote where Huawei announced them, however, apart from them Huawei released the Mate 10 Lite silently, and this is the device we’ll be reviewing today. This phone was introduced in China and India as Honor 9i or Maimang 6 respectively, and compared to its big brothers, it has a somewhat weaker chipset and a smaller battery capacity. Lite mark immediately suggests that this is a middle-class device, but do not let yourself be tricked since this device has some premium features such as 18:9 aspect ratio and 4 camera sensors! Of course, the price is also much lower. Another difference in comparison to other Mate 10 devices is the chassis build, since this device has an aluminum chassis while other devices from the same family have their chassis made of glass. The Lite version comes in three colors: Graphite Black, Aurora Blue, and the one we’re testing, Prestige Gold. Inside the factory box we can find: a charging adapter, microUSB cable, 3.5mm headphones, a SIM tray tool as well as user manuals. If you find the Mate 10 Lite interesting so far, stay with us so we can dive into more details and see what exactly this device has to offer! As we have said, next to the cameras that we’ll cover in a moment, the display is another point that sets apart this device from the others in the middle class. Huawei placed a 5.9” IPS LCD display on this device, that can show up to 16 million colors and that offers somewhat more natural colors compared to AMOLED displays which tend to oversaturate colors. It is also true that AMOLED displays can display white color with a shade of yellow, but this device shows whites with a shade of blue. 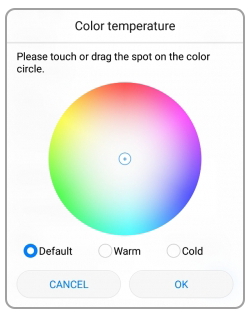 In the settings you can find and adjust color temperature parameters, and you can choose between: Default, Warm and Cold, but these are not even close to the settings that you can find with some AMOLED displays. The resolution of the Lite’s display is the same as it was in the Pro version, that is FHD+ (1080 x 2160 pixels), but the diagonal on the Pro version is bigger by 0.1”. Screen to body ratio of this device is 76.5%, and when we crunch the numbers we come to pixel density of 409 pixels per inch, which is a great number. The screen is also 2.5D. Huawei did not say what protection they installed over the glass of the display, but our phone came with preinstalled film foil, which is great! Colors do change slightly when viewing angles are changed, but not too much. The brightness of the panel itself goes up to 501 nits, which makes the visibility on the sunlight above average. However, every coin has two sides, and a bad one here is that using this device in dark environments can be too intense for the eyes. Luckily, Huawei put an ambience light sensor in this device which will adapt the brightness of the panel to the environment, as well as a blue light filter, that Huawei call “Eye Comfort” that puts the pressure on eyes to the minimum. Chipset that powers this device was developed by Huawei’s HiSilicon, and the exact model of the chipset is Kirin 659. This chipset does not have a neural processor that other devices of the Mate 10 series have, but it is a very good chipset for the middle class of smartphones. It is built in 16nm process which is not exactly the latest manufacturing technology, so this chip will not be that battery consumption friendly. Kirin 659 is an octa core CPU that works on the big.LITTLE configuration. Specifically, these are eight A53 cores, out of which four are clocked at 1.7 GHz and they are in charge of every day tasks, and other four are clocked at 2.36 GHz that are in charge of more demanding operations. The GPU that goes hand in hand with this CPU is Mali-T830 which is a very decent choice for middle class, and it can cope with all graphic demands. Huawei Mate 10 Lite has 4GB of RAM built in, as well as 64GB of internal storage memory which won’t represent an issue to users that manage their storage smartly, but even if you find yourself in need for more memory, there is the microSD card support which will let you expand the storage memory of your device by up to 128GB. On the first sight, you might not be too content with what you’ve seen so far, however, the big picture is not nearly that bad. The device will show no signs of slowing down or underperforming at all, except when running very demanding 3D games. All tasks and screen transitions are pretty fluid, as is navigation through the menu, opening application etc. We usually run all the devices through the AnTuTu benchmark, and Huawei Mate 10 Lite gave us a result of 63971 point, which places it above, for instance, Xiaomi Mi A1. Overheating is noticeable only after heavy gaming, but it is insignificant since we’ve seen no drops in performances, and we can safely say that there is no thermal throttling. Something that is a staple in all modern devices in the fingerprint scanner, and it found its place in the Mate 10 Lite as well. It is located on the back of the device, just below the main camera sensor which is also the most natural place for your index finger when holding the device. Also, the phone has only one speaker, and it is located on the bottom of the device, to the right of the microUSB connector. Sound quality is pretty good and it is well reproduced, but it could a little bit louder. Regarding the software side of things, the Mate 10 Lite comes with Android 7.0 Nougat preinstalled out of the box, as well as with the EMUI v5.1 user interface. We are not really sure what kind of support Huawei will provide for this device, and they will probably take some time to provide the Oreo upgrade or a new version of the UI, but at least we hope to get regular security patches, which are at the moment dated to November 2017. Little by little we come to the section that Huawei probably wanted to pronounce the most in this device, and that is the camera section. Huawei Mate 10 Lite has not one, not two, but four cameras! That’s right, four cameras on a mid-range device! Huawei, on this device, implemented their double camera setup in a way that uses one camera to take photos, and uses the second camera to pick up background information in order to blur it nicely. On the back of the device, there are two cameras, one 16 MP sensor with the aperture of f/2.2, and one 2 MP sensor for depth of field information, while on the front side there is a 13 MP sensor with the aperture of f/2.0 and also a 2 MP sensor for bokeh effects. The primary camera uses phase detection auto focus system, and it is very fast. The rear facing camera also supports variable aperture, and it is backed by a single LED flash. Photos made by the main camera in well-lit environments are excellent, with vivid colors are decent level of details, however, noise can be seen in shadowy places. The secondary camera does its job in daylight very nicely, although post processing can make a mistake every once in a while, in terms of differentiating between the focus object and the background, so some artifacts can see seen on the edges of the object. We can say that low light environments are the Achille’s heel of this camera, because there is a lot of digital noise in images that lack light. Still, night time photos are not terrible and they can be used for social networks for example, although you might need a steady hand. As we have said, the rear facing camera, due to the 2MP sensor has variable aperture option that can simulate apertures of f/0.95 down to f/16 which means that the photos can have phase depth of field as if they are made by very good DSLR objectives. Camera interface also provides an option to save photos in .RAW format which is excellent for post processing. The Pro mode is available on this device’s camera, and it offers focus field settings, ISO values, shutter speed of up to 8 seconds, exposition, type of auto focus, as well as while balance settings. HDR is also here, but it definitely won’t do any sort of wonders. Swiping to the other side opens camera settings where we can find items such as camera grid, timer, audio settings, resolution etc. Videos don’t bring anything new, so there is no stabilization or optical zoom. Camera can record videos in maximum FHD resolution at 30fps. The Mate 10 Lite is not a device that will let you take remarkable videos, so you won’t be able to record FullHD videos at 60fps or 4K videos. The quality of footage taken by the Mate 10 Lite at not that great, and we could see much better results on devices of similar price. The sounds are captured in stereo quality. MMS 176 x 144 video recording resolution is also available, but it probably won’t find much use. Double front facing camera brings almost identical details as the rear facing camera. On the front side as well is the option to take photos with bokeh effect, as well as with beauty settings. The upper menu of the front camera’s interface offers the Soft Light option that will turn on the “soft” diode which will illuminate your face while taking selfie photos. The front facing camera can record videos in maximum FullHD 1080p resolution at 30fps, the same as the rear one. Huawei Mate 10 Lite is a DualSIM device with a hybrid slot, which means that you’ll be able to use either two nanoSIM cards or one nanoSIM card and one microSD card for storage expansion. Huawei did not exclude a 3.5mm audio port from this device, so you’ll be able to continue using your favorite headphones. One pair of headphones is also there in the factory box. On the bottom of the device is a microUSB 2.0 connector. We did expect USB Type-C from a device from the end of 2017, but it is what it is. Lack of NFC is another disadvantage we stumble upon, and the Mate 10 Lite, due to its chipset, lost 5GHz WiFi support, meaning that WiFi only works through one 2.4GHz channel. Maximum theoretical download speeds using the LTE Cat 6 modem that this device has go up to 300Mbps, while the theoretical upload speeds go up to 50Mbps. Battery that feeds this device with power has the capacity of 3340 mAh and it is non-removable. What disappointed us aside from the microUSB port is that this device does not have any kind of fast charging, so a full charge will take about 2 hours and 30 minutes. Results that we got with one full charge are about 26 hours of average use with active WiFi, while the SoT (Screen on Time) came up to precisely 5 hours. There is also an option to reduce the resolution in order to save battery consumption, as well as the Power Saving Mode that is automatically activated once the battery drops below 15% of the charge. The device does not support fast charging. This little mid-range fighter from the flagship Mate 10 series is a solid device that everybody who don’t ask too much of a device will find perfectly useful. 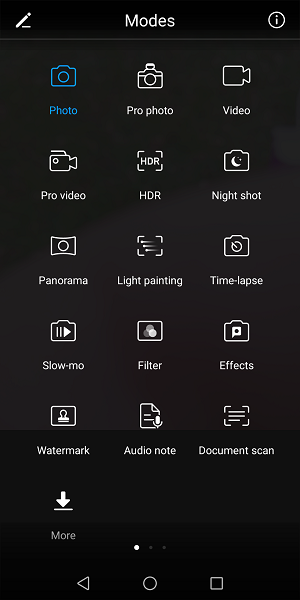 The Lite version will not let you down in either hardware of software sense, and also not in the camera segment since it does make more than just good photos for social networks. With this device you’ll have a feeling of handling a premium device because it did borrow many things from its big brothers. Perks that you get for the price of the Huawei Mate 10 Lite are perfectly well balanced. Do you like the Huawei Mate 10 Lite? We’d love to see your opinion in the comment section below. If you have any suggestions or you would like to see a specific device being reviewed, feel free to write to us either here on our Facebook page. If you liked our review, please subscribe to our YouTube channel, like us on Facebook, and sit comfortably as we’re working hard on new material for you!